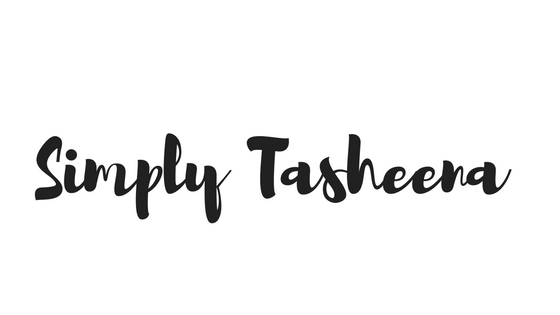 This post is in collaboration with JSL Foods Twin Dragon products. I did not receive compensation for this post. I received free products to try. All opinions are of my own. It’s pumpkin everything season and I’m here for it. Last week I decided to make on a whim stuffed pumpkin Wontons. I received some JSL Foods Twin Dragon products to try-and I'm I had been craving pumpkin. I honestly wasn’t sure how the recipe was going to turn out. I also decided on a whim to make a ginger sauce to pair it with the vegan pumpkin wontons. I'm so pleased with how the recipe turned out. It honestly was love at first bite. I loved the recipe so much that I opted to make it again the very next day. What I love about this recipe is that it’s super easy to make and can be made in advance as well. It doesn't require a ton of ingredients and is perfect to enjoy throughout the year as well. I also opted to just steam the wontons and not fry them. You can opt to fry them if you prefer your Wontons fried. I love that these Won Ton wrappers are vegan and all neutral. I also love that I do not have to goto a specialty store to find them. Seeing how they can be purchased at my local grocery store. I can't wait to see what other creative recipes I can come up with. Have your tried pumpkin wontons before? Associated Stores, Price Rite, Shop Rite, Winco, Price Chopper and Gelson's. Combine soy sauce, maple syrup, garlic, ginger and set aside. In a pan, add the olive oil and saute the onion, garlic, and ginger until fragrant, season to taste with Himalayan salt, and set aside. Once cooled, add the sauteed mixture to a microwave-safe bowl and combine the pumpkin puree and set aside. Fold the edges as if you were making a fan. Lightly press to seal the points together.-Repeat with the remaining wonton wrappers. To cook, steam the dumplings, in batches, for about 5 minutes. Serve immediately with-the dipping sauce. 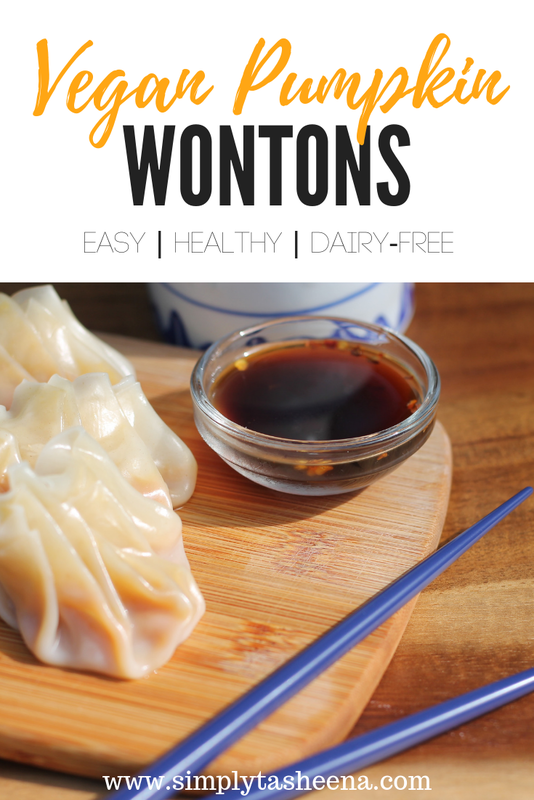 Wontons are so easy to make and a great way to sneak in some veggies. I have a steam basket I picked up in San Francisco a few years ago and it's my go to for steaming wontons. Pumpkin wontons?! Amazing! What a smart idea! These sound delicious and I’m pinning them now! These sound heavenly and everything pumpkin is happening. Fall fever!!! Oh man I have never had pumpkin won ton before. This is so going on the menu list to make and enjoy. You had me at pumpkin! My sister in law is a vegan and I know she is going to go crazy over these. Ooo yes, you had me at pumpkin! I do love my pumpkin stuff. I'll have to try these! The ginger sauce sounds great too. 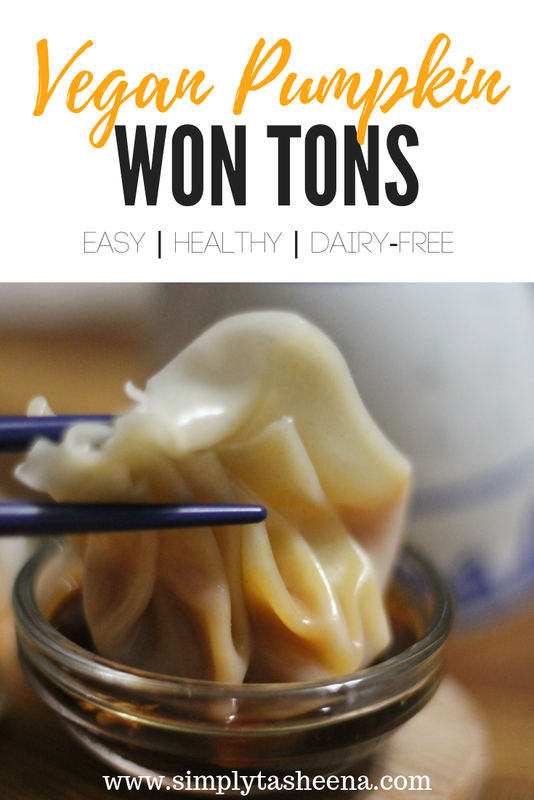 These look really good, I have never had pumpkin won ton before. We have friends that are vegans this would be a nice little treat to make for them. Those sound really good. I have a lovely brown sugar soy sauce that I think would be awesome with them! I would never have thought to put pumpkin in a wanton! That sounds like a neat treat. Wow, I never thought to put pumpkin in won ton. Sounds like it tastes delicious though. Thanks for the recipe. What a creative way to use pumpkin in a savory dish! Pumpkin won tons are a good idea. I would have never thought to use pumpkin for these. 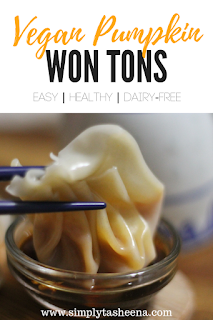 I do love won tons too. They're so good! These sound yummy! I'll be trying out this recipe with my kids! Your wontons look so pretty!!! I want to try this recipe because it's so unique and I love asian food! I have never even heard or thought of pumpkin won tons before, but now I"m pretty sure I have to try it. Thanks for sharing-this sounds perfect for my fall loving soul! Such a great idea! I've never made anything like this before but I'm definitely interested especially since it's pumpkin season! Thanks for the recipe! This is a great idea to make whim stuffed pumpkin Wontons. I am so curious to try them with this flavorful sauce!